Tenancy Cleaners London is the perfect solution of your domestic and commercial cleaning needs in London. We have several professional cleaning teams who cover all areas of London and Greater London. 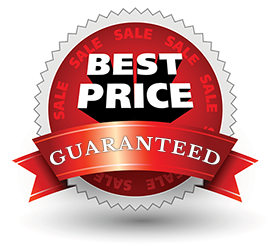 We beleive that our prices are the most competitive ones. You may chose from from several cleaning packages depending on your needs. Some of the services we offer are regular home cleaning, one off house cleaning, end of tenancy cleaning, carpet & upholstery cleaning. House cleaning is one service in London that is used quite often by the households to ensure properly cleaning of their homes. When most of the members in the family are working, people usually have no time to clean up and manage their house properly. Carpets are one of those items in the house that are quite difficult to clean on our own. Children often drop eatables and drinks over the carpet while running here and there. The carpet cleaning industry is flourishing rapidly in London and our company is one of the most reputable with over 10 years of experience. One-off cleaning service is one of the most hired cleaning service in London. Being engaged in working sector mostly, people do not have much time to devote to cleaning their house and so, one off cleaning is the perfect service to go for. Moving or shifting to a new place is always a tough task. Shifting all the furniture and necessary items is never easy and requires an experienced agency to handle this task comfortably. For those who do not have an idea about what deep cleaning is, it refers to cleaning of those lands and areas that have not been used for a long time.